Its yet another Canvas smartphone launch from Micromax and this time its called Power. Wondering why? Its beacause the new Micromax Canvas Power has a 4000 mAh battery that can keep you hooked onto your phone the entire day without you having to worry about its battery running out. 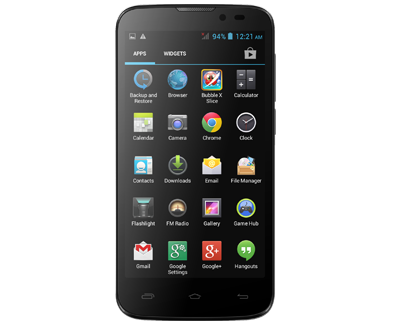 Apart from being big on battery, the Micromax Canvas Power sports a 12.7 cm (5") TFT screen and runs on the Android 4.2 (Jelly Bean) OS. The Canvas Power is powered by a 1.3 GHz MTK Quad Core Processor and comes with 512 mb of RAM. It is a dual sim 3G enabled budget smartphone. The Smartphone is equipped with a 5MP rear camera with LED Flash and 720p HD video reacording. It also sports a front (0.3 MP) digital camera. It comes with 4Gb of internal memory which is expandable upto 32Gb. Another good feature of the phone is the fact that it comes with the Kingsoft Office Suite pre-loaded. The phone is attractively priced at Rs 8999.